The Distant Thunder Whisky Club: Is someone watering down your whisky? Is someone watering down your whisky? 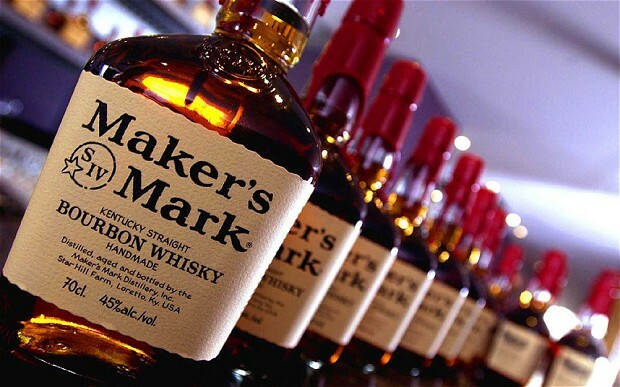 Big news in the UK last week was the decision, and then hasty reversal, by Maker's Mark to start diluting their whisky from 45% to 42%. The chairman of Maker's Mark Bill Samuels Jnr was quoted as saying “demand for our bourbon is exceeding our ability to make it”. Which The Converted is translating as "we sold 16.9m cases of bourbon in 2012 and if we water down each bottle a bit, we'll be able to make a load more profit". I'm pleased to say that The Diplomat's mint julep is safe as Maker's Mark reversed their decision after a large outcry from bourbon drinkers on the internet. With the shortened ageing times bourbon makers have less of an excuse, but I've wondered in the past how whisky makers who prefer 10yo+ age statements are able to predict demand into the future. Could distillers have predicted the global whisky boom that has happened in the last 5 years? Perhaps it explains the trend towards new whiskies without age statements being released? I'm not sure any other producers will be rushing to follow Maker's Mark following their PR disaster, but keep an eye out for someone watering down your whisky.